I am not sure how new this is, but sometime within the year, Google Maps has begun showing the date the image was taken. Not the exact date but the month and year the image was taken with the street view cars. So it doesn't give you the exact day and time but it does give you the month and year. 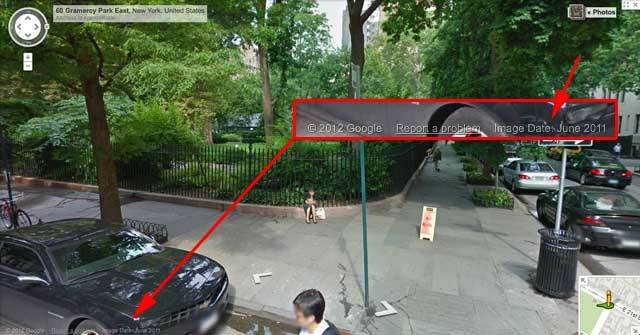 Previously, the only way to see when a street view image was taken was via Google Earth. We wrote about that in November 2010. Again, I am not sure when Google added dates to the web version of Google Maps Street View images but it is interesting to see there. Daniel from the Google Maps team wrote in the Google Maps Help forum that you can retrieve the dates of the image on the "bottom left corner of the Street View image." Update: Websonic told me the dates were added a couple months ago.